Unless you’re a vegetarian, there’s no reason why you shouldn’t consider eating rabbit instead of ham, turkey, chicken or beef for dinner. This country still has the Easter Bunny syndrome! Europeans, especially the French, Italians, Portuguese, Spanish, Hungarians and Germans eat lots of rabbit. If we can get over our prejudices, eating rabbit makes a lot of sense. Four ounces of roasted rabbit meat has 175 calories and 7.2 grams of fat, slightly less in both categories than skinless turkey dark meat. And rabbit meat has more flavor than chicken, to which it is often compared. Rabbit is an all white meat that’s lower in cholesterol than chicken or turkey (164 mg of cholesterol in rabbit vs. 220 mg in chicken), has just 795 calories per pound (chicken has 810 calories per pound), and has the highest percentage of protein and the lowest percentage of fat of any meat. In short, meat doesn’t get any healthier. If you want more information I have a post in the October archives on the HEALTH BENEFITS OF RABBIT MEAT check it out. Now on to cooking rabbit! Working with rabbit is very much like working with chicken. Think of the forelegs as wings. There isn’t much breast meat but the saddle or tenderloin makes up for it. When cutting up a rabbit, remove hind legs and forelegs and the saddle (or have the butcher do it). The bony rib cage can be used for stock. A 2-1/2 pound rabbit should serve 2 people, more if you have a rich sauce or several side dishes. Although a rabbit can be roasted whole (stuffed or unstuffed), it is most often cut into pieces and cooked slowly in a casserole or stew. 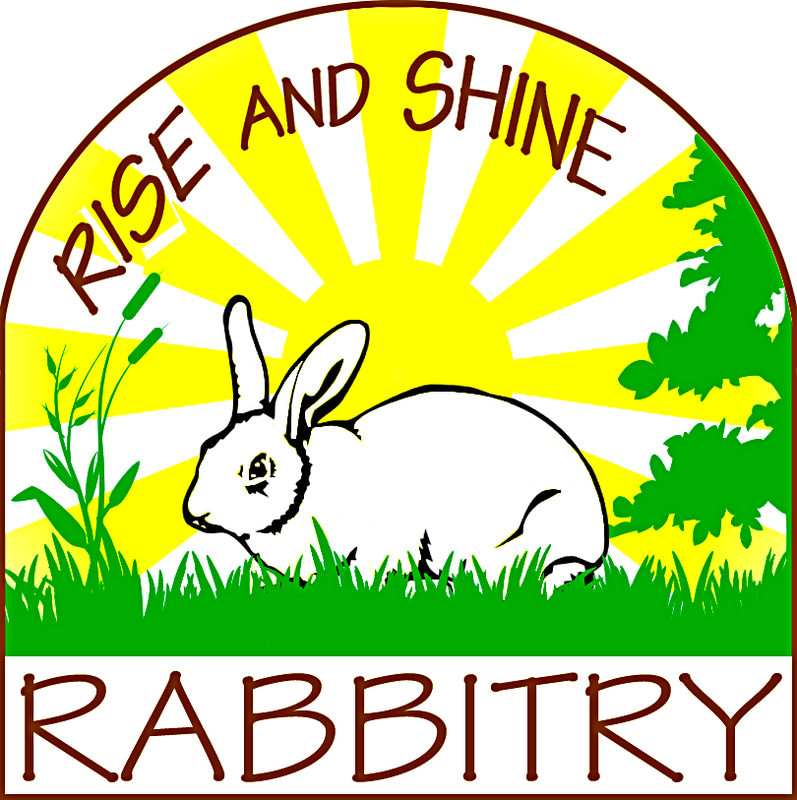 Domestic rabbit, although available as saddle or legs, may still need to be cut into smaller pieces before cooking. 3. Cutting lengthwise through the center of the breastbone, divide the ribcage section in half. If you wish to remove small bones from the flesh around the breastbone, use pliers or pull them with your fingers. A rabbit weighing between 2.5 lbs and 3.5 lbs makes six portions: two saddles, two thighs and two front legs. Either cooked or raw, rabbit meat freezes very well. Rabbit meat can be grilled, roasted, braised, fried or barbecued. It also makes great terrines and pates, and the liver and kidneys are delicious. It takes 60 to 90 minutes to cook rabbit meat at 325F (160C). Rabbit can easily be used in recipes calling for chicken, turkey and veal. As rabbit is a lean meat, it is important to baste it often when roasting to avoid it drying out. Fryer rabbit can replace chicken in almost any recipe, but if you’ve never cooked rabbit before, it’s a great idea to start with a trusted recipe. When barbecuing rabbit, marinate the meat first or baste it with a mix of lemon juice and olive oil with herbs. Grill it first on high heat, than continue to cook it on medium heat for a further 40 to 45 minutes with the lid closed. Fresh herbs marry very well with rabbit meat. Try basil, lemon grass, coriander, bay leaf, parsley, rosemary, thyme, marjoram, and sage. It also works well with wine-based sauces and fruit sauces made with raspberry, pear and apple. Use rabbit legs as a substitute for chicken in paella or other dishes. Though white wine is often used to deglaze the pan that rabbit is sauteed in, you can also use grappa (the fiery Italian clear brandy) and balsamic vinegar. Rabbit liver is unusually large and unusually delicious. Sear it on both sides in clarified butter, leaving it pink inside. Then add a few shallots to the pan with some wine, port or brandy and cook a few minutes. Process with a touch of cream, salt, pepper and a pinch of allspice or nutmeg for quick pate. When roasting whole, buttered or lard with pork back fat, or wrap in foil to keep the flesh moist and tender. Or bone the main body and fill with a stuffing. Baste the rabbit frequently during cooking. Marinate in wine or olive oil, with aromatic vegetables and seasonings, before cooking to help tenderize the meat. Poach or braise young rabbits; stew or casserole older ones. Use a rabbit to make a terrine. Grind the rabbit meat with 2 shallots and mix in 2 eggs, two-thirds cup heavy cream, 2 tbsp. shelled pistachios, 1 tbsp. dried cranberries, 2 tbsp. chopped fresh parsley, and seasonings. Place in a pot lined with bacon slices and bake in a water bath at 350 degrees F for 2 hours. Add 1 and one-quarter cups liquid aspic after cooking. Allow to cool and refrigerate until set. Thin cuts of rabbit (no more than one inch thick) are suitable for sauteing. First, preheat a pan and add a small amount of olive oil. Place the rabbit in the pan and brown both sides, cooking until it reaches 160 degrees F.
Shreaded rabbit–You can use either stove or crockpot to cook the rabbit ahead of time. But don’t boil it… simmer it very gently so it barely bubbles. Simmer for 1 to 1 1/2 hours or until meat falls of bones, Remove and allow to cool. When cool,pull meat from the bones and shred. You can freeze the meat for later use or make all kind off foods with this! I have made Rabbit Tacos,Rabbit Salad Sandwiches,so much more. I like to use apple juice for part of the liquid. I use a bay leaf or two, some herbs and some black pepper and allspice for seasonings. Here’s a very simple but tasty grilled rabbit recipe for the outdoor barbecue. Preparation time, 15 minutes, Cooking time, 80 minutes. Serves 4 to 6. Rub rabbit with salt and pepper; place over medium hot bed of live coals. You can use a gas grill. Make sauce by mixing oil, wine and seasoned salt together. Keep rabbit well basted with sauce, turn often while cooking 1 hour or until rabbit pieces are tender. 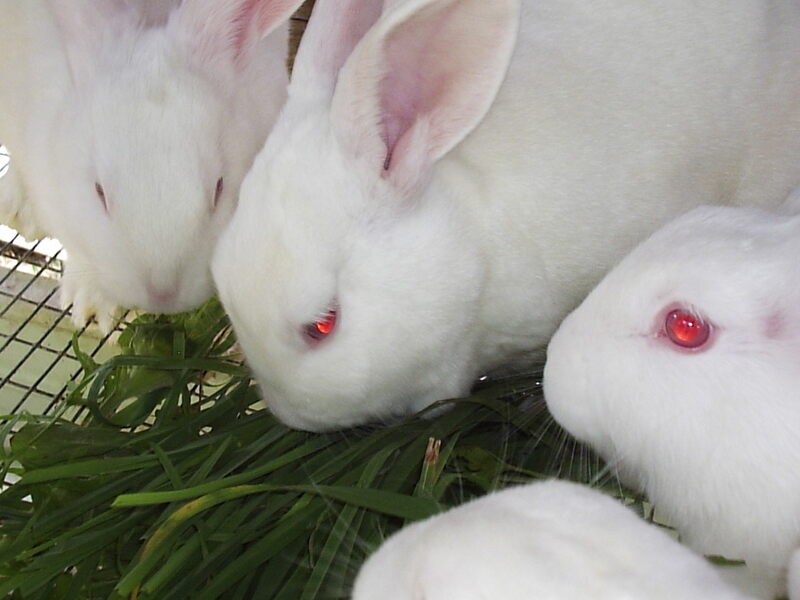 Rabbits a great high protein, low-fat, white meat, that is great tasting, easy to slaughter and no freezing needed. Just keep them in the cages until ready to put on the plate. Rabbits have awesome pelts to make blankets, or clothing, or a great barter item. 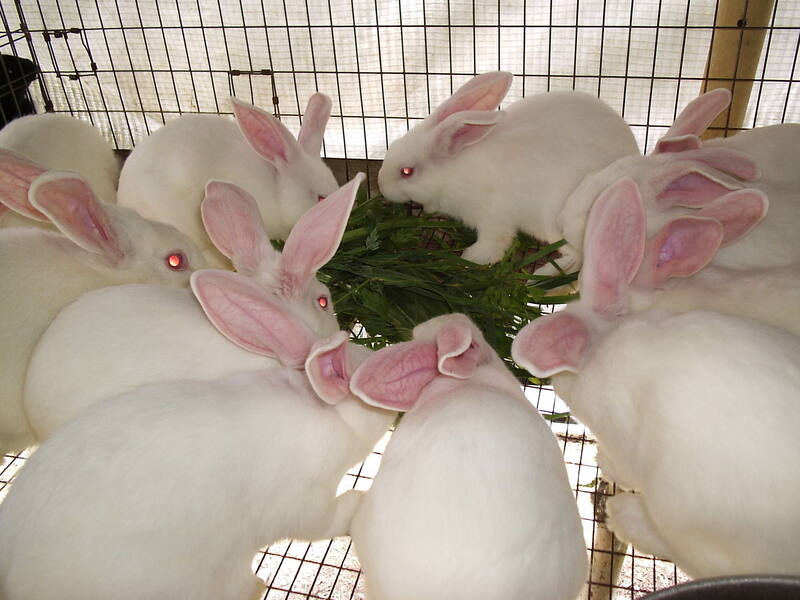 Rabbits also produce one of the best manures for the organic garden. 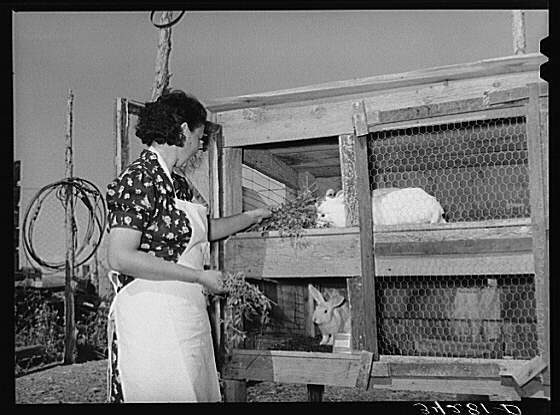 During the growing season from half to three-quarters or maybe even more of a rabbits diet could be grown by the homesteader(depending on how much work you want to do). Also by feeding garden wastes, weeds, leaves, berries etc, you could provide all the food needed for a small-scale homestead meat supply. Composting takes from 6 to 12 weeks to make your garden waste usable as a soil amendment, Rabbits and Worms can do a far better job and making a better product in ten days or less! So garden waste becomes rabbit food, which them becomes an equal weight of worm food in a day or two, which then becomes worms and their castings in over 90 days. The worms increase to become a source of highly nutritional poultry, waterfowl, and fish food in about 3 months. Leaving behind a mass of plant food (worm castings) that becomes more plants, more saleable product, and more rabbit food. All in the same time it takes a compost pile to become a lower quality of soil amendment without the added poultry, and fish food benefits. Now that’s Self Sufficiency! I will be writing about all this information in future posts! This is the basis of my book that I have been working on for some time. This website I plan to load with all the information need to grow, breed, and butcher rabbits on your self sufficient homestead! JOIN THE RABBIT REVOLUTION! LIKE US ON FACEBOOK! 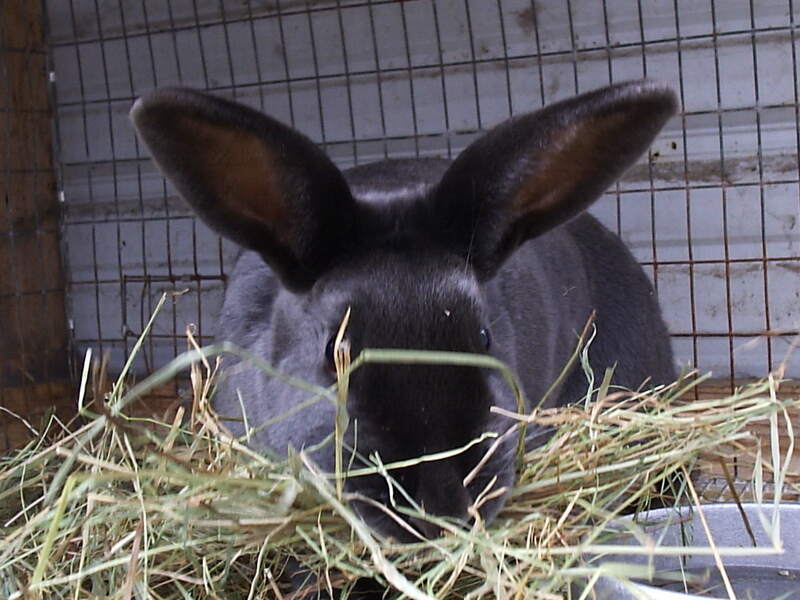 -And get daily information on raising rabbits, tip,ideas, and other great homesteading stuff! Subscribe to our blog and get updates as they are posted!